London-based start-up consultancy, Nerdic, has launched a legal bot, bot.nerdic, to help founders with compliance and regulatory issues. 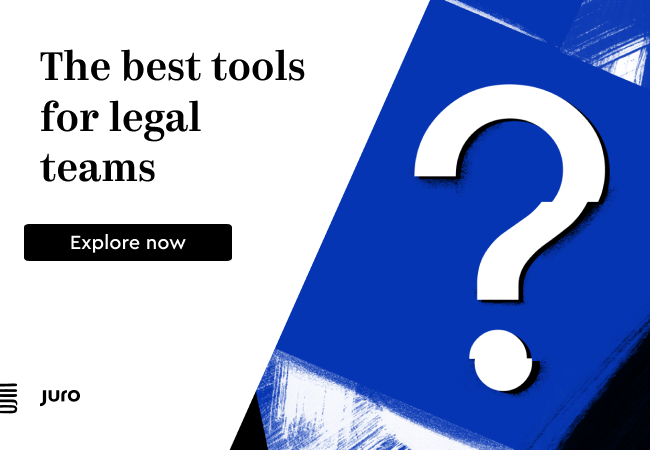 The brainchild of Nerdic’s Cagatay Pekyorur and Didem Yurdakul, the legal bot guides tech start-ups through a Q&A session that covers key regulatory issues that many are likely to face as their companies grow. The consultancy said that currently the free-to-use beta of bot.nerdic only does an assessment process, but the Nerdic team is working on a more comprehensive version which will tell start-ups what they need to do to comply with related regulations and help them to prepare related documentation. I.e. 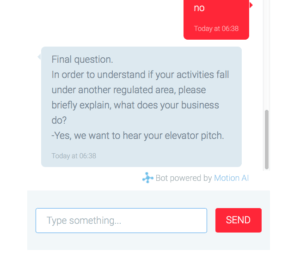 rather than just tell you what may be an issue, the bot will give you some direct answers about what to do next and also get you some of the way along to the solution. 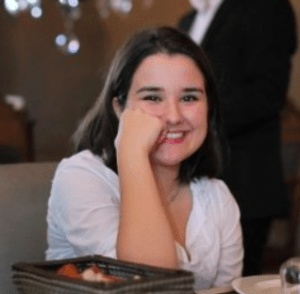 Artificial Lawyer caught up with Nerdic project manager, Didem Yurdakul, to find out some more. Please can you tell me more about Nerdic? What do you do and who are your clients? Nerdic was founded two years ago by IAPP Certified IT lawyers who took part in numerous public policy, regulatory and payment system compliance projects of multinational companies such as Microsoft, PayPal, eBay, Uber, and BlaBlaCar. Our approach is to combine law and business in information technology and communications sector. Nerdic’s practice areas are mainly regulatory compliance, public policy, fundraising and AI. We work with start-ups besides established companies such as Facebook. Besides our key people, we also collaborate with experienced developers, designers, and other subject matter experts. What was the inspiration for the legal bot? While working with start-ups, we were inspired by their product development processes and their innovative way of thinking. This led us to think about an innovative product of our own to assist the start-ups that inspired us. During our quest for a new idea, we have seen that the future will bring numerous opportunities for the collaboration of law and technology. So, we initiated our bot.nerdic project three months ago to create an automated system with our knowledge and experience to enable businesses to comply with regulations in areas that have great importance, mainly e-commerce and data protection. What kind of technology are you using for the bot? We built bot.nerdic by ourselves on the bot software of motion.ai. As we move forward in the development stage, we are planning to combine the knowledge of the Nerdic team on regulatory compliance with developers. Currently, the model we are working on is to merge a rule-based approach with Artificial Intelligence Markup Language. Did you work with a bot maker? Up until now we have developed the bot ourselves, but we are working on collaborating with professionals to reach our aimed for end-product. The current beta tool is a basic conversation sequence that provides 24 different results, pointing out which regulations should be complied with. Our aim is to develop this bot in a way that it is able to tell the client the actions that need to be taken in order to be compliant and that will prepare the essential documents, based on the answers that it receives. The beta version that we developed helped us explain our vision and we are now communicating with developers to take the project further. Lastly, what do you hope to achieve with the bot, is it mainly a marketing tool? We don’t see bot.nerdic as a marketing tool. While working with start-ups, we have seen that legal compliance is not a priority for first stage start-ups. This is often caused by a lack of knowledge, which leads them to be hesitant about creating a budget for compliance. However, making a business compliant in early stages of their journey is much more efficient and less costly than trying to become compliant in later stages when it is much challenging to adopt the business and products. Accordingly, we perceive bot.nerdic as a tool that will, at least, raise awareness for start-ups. 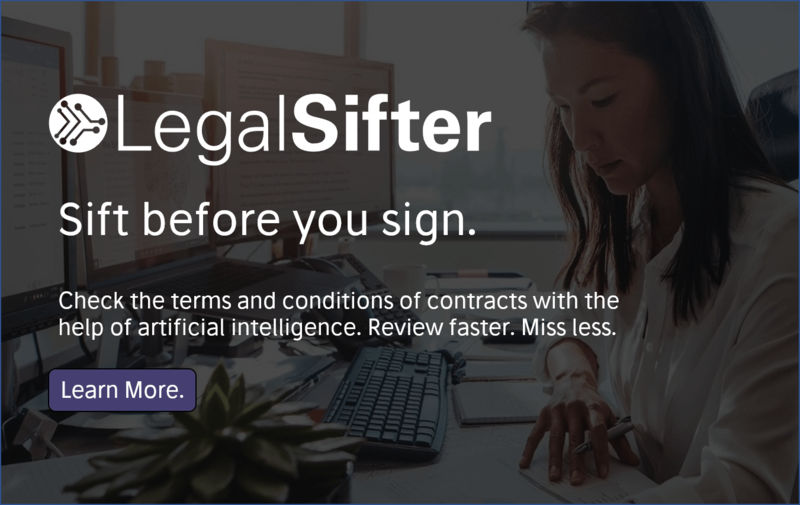 As it has very basic functions at the moment, we reach out to start-ups that use the bot and assist them ourselves, however, our ultimate goal is to automate most of the compliance process and enable start-ups who have a very important place in UK’s economy to be compliant in a very short amount of time. Thank you and good luck. 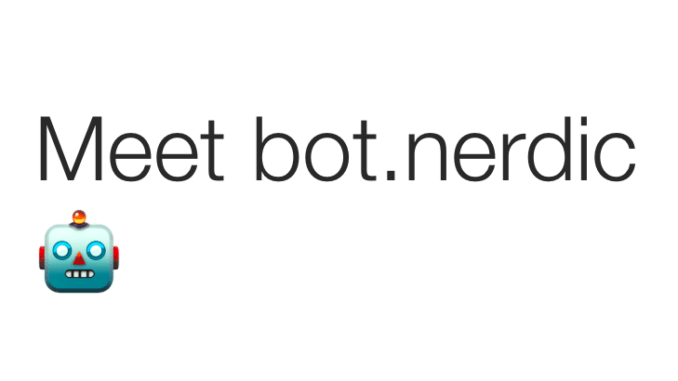 Looking forward to the next iteration of bot.nerdic already!